Retired test pilot and engineer Phil Oestricher, 84, the first person to fly the YF-16 prototype, passed away in Fort Worth, Texas, on Friday, Dec. 18. 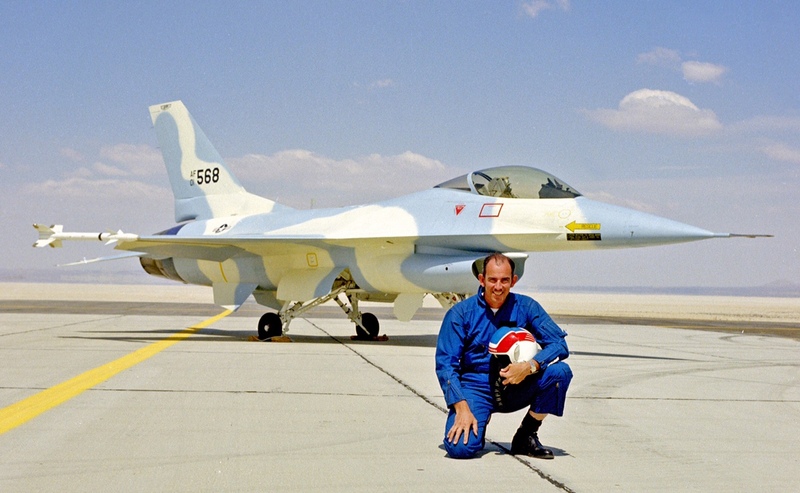 Oestricher's first flight in the YF-16 technology demonstrator aircraft on 20 January 1974 earned him a lasting place in aviation history. The aircraft unintentionally became airborne during a high-speed taxi test at Edwards AFB, California, and he made the decision to keep flying rather than risk catastrophic damage in a crash landing. His excellent flying skills and quick reaction saved the prototype from destruction, which could have resulted in an early end to the F-16 development program. Oestricher contributed to the development of several F-16 versions as a test pilot and helped establish safety protocols that have benefited the worldwide F-16 pilot community. He also flew all models of the F-111, the fighter-bomber that preceded the F-16 on the Fort Worth production line. He was proud to have flown the F-4D Skyray with the U.S. Marine Corps. Before his Marine Corps service, he worked at heritage company Consolidated Vultee as an aerodynamics engineer on the B-36, which was the first true intercontinental bomber. Since his retirement, Oestricher was active in the Lockheed Martin-Fort Worth retirees association and was an avid builder and flyer of radio-controlled model aircraft. Click here to see article about the YF-16 first flight.